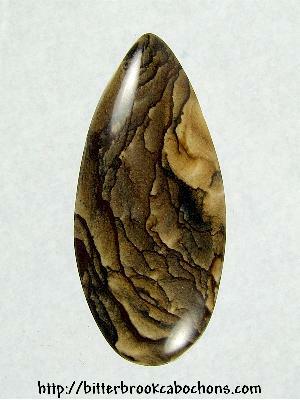 Here's a pretty Biggs Jasper teardrop! Colors go from light to dark across distinct dark waves. Nice polish and a very nice cab! 35mm x 16mm x 4.5mm. Weight: 18.45 carats.